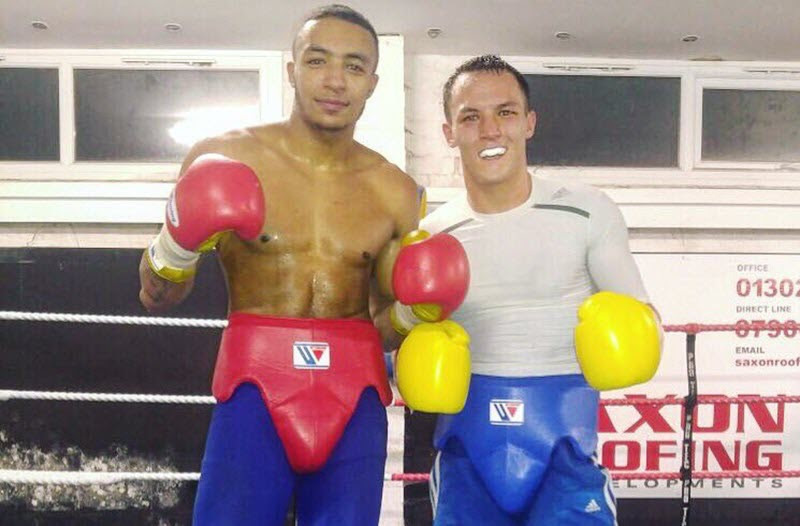 Josh Warrington and Zelfa Barrett are busy preparing for the most important fights of their respective careers on October 21st in Leeds. Warrington is on the cusp of a World Title shot, with only unbeaten Dane Dennis Ceylan standing in the way of an IBF World Featherweight Title shot against Welshman Lee Selby. Barrett is still a prospect at 18-0, testing himself against increasingly difficult opposition. Next up he faces Chris Conwell for the vacant English Super-Featherweight Title. Leeds hero Warrington has been impressed with Barrett’s performance in their spars and is backing the Manchester talent to win his first professional title later this month. “Zelfa is looking really sharp,” said Warrington. “He has got some attributes that are very similar to Dennis Ceylan’s but I think he does things a little bit better than Ceylan does. He has a height advantage over me like Ceylan does so it was really useful sparring for the both of us. “We sparred at a very high pace and I was impressed with his movement. Sparring is sparring but there are certain little things that you pick up on that impress you; he has something about him.